Recap - Was That the Real David Price? 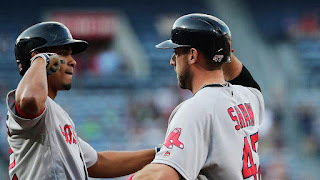 Travis Shaw (pictured) drove in a career-high five runs and David Price matched a career-high with 14 strikeouts as the Red Sox beat the Braves 11-4 at Turner Field in Atlanta. Price went deep into so-far uncharted waters in 2016 for a Red Sox starter, going eight innings for his third win of the year. He allowed two runs on six hits and a pair of walks. He struck out eight of the last eleven batters he faced. Boston scored four runs in the top of the first inning, three of them on Shaw's second home run of the season. Brock Holt doubled home Jackie Bradley Jr. with the fourth run of the inning. The Red Sox added single runs in the fifth and seventh innings and put the game away with five more in the ninth. 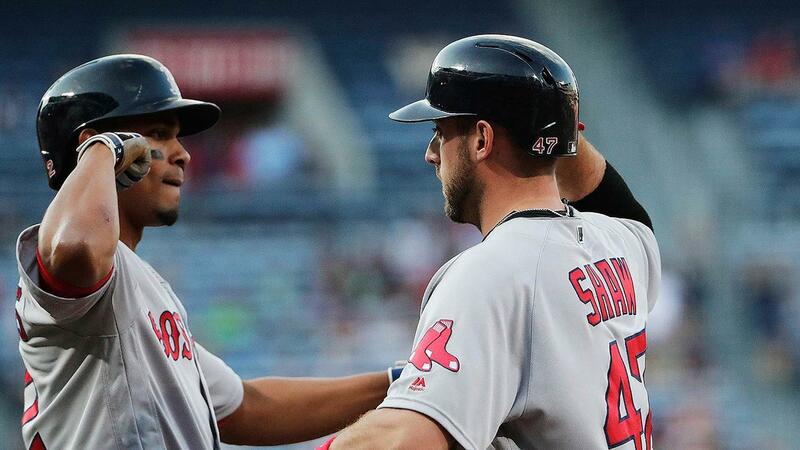 Xander Bogaerts led Boston with three hits; Dustin Pedroia, and Shaw each had two. Of the starters, only Price was held hitless. Pat Light made his major league debut in the ninth inning. The New Jersey native allowed two runs on two hits and a walk.